Randy Weiner: BrainQuake sees math as a gateway subject — kids’ success in and attitudes toward math can have an enormous impact on the rest of their lives. Yet, unfortunately, despite decades of insight into this problem, very little has been done to change so many children’s negative experiences with the subject. It’s beyond question that children’s natural aptitude for math is frequently obscured by outdated assessment. Traditional approaches inhibit engagement and fail to reflect humans’ intrinsically efficacious numeracy, leading to a life-long negative math self-image – especially for children from low SES backgrounds – that unnecessarily sabotages educational and career potential. As former teachers ourselves, this is heartbreaking! BrainQuake’s mission is to reveal children’s true mathematics conceptual thinking proficiency by overhauling the 10,000 year-old way in which children interact and demonstrate their proficiency with mathematics. Our design process begins by conducting a survey of mathematical content that we know is especially critical to success and progress in the mathematics classroom AND that also lends itself to an engaging and entertaining interaction for all ages. Fundamentally, we select concepts that we believe are best served by the inherent pedagogy and interactivity that are core to the best video games available. When viewed from this perspective, we find that there are large parts of the curriculum that cannot be delivered via a puzzle or game design, but that can be delivered via other excellent pedagogical models. At BrainQuake, we most enjoy watching what happens when we create a concrete and engaging natural representation of deep mathematics that allows students to shed their fear of math and demonstrate levels of proficiency well beyond what the traditional symbols and language of mathematics typically affords children (and many adults, for that matter). And we’ve seen this happen time and time again. Ensuring our work is truly impactful is essential to our mission — we don’t want to waste anyone’s time with unproven content. This is a central reason why we are ecstatic to collaborate with GlassLab Games Services. GlassLab Games Services shares our commitment to impact and not only that, they provide us with tools and resources to help accelerate and scale that impact. By far, the most exciting feature of the GlassLab Games Services platform is the access to deep analytics that are customized for our apps. GlassLab Games Services is significantly lowering the cost and associated effort and time to gaining insight into how our products function in the classroom by immediately connecting us to classrooms around the country and giving us real-time feedback on how our apps are being used by teachers and students on a daily basis. Every time you play Wuzzit Trouble, you contribute to furthering our understanding of how to help you revolutionize the teaching and learning of one of the most important subjects in 21st century global economy and we are grateful for your participation! 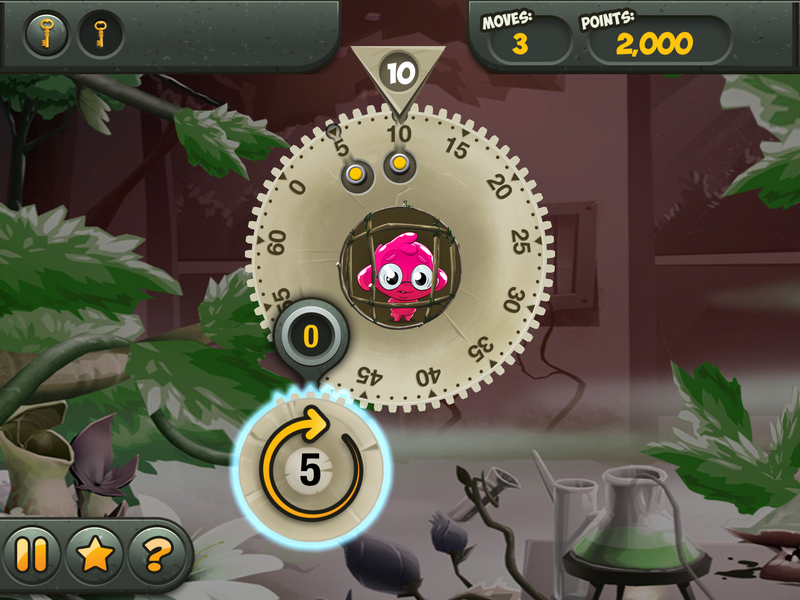 Wuzzit Trouble is one of six high-quality, high-impact games made by leading game developers who are part of the GlassLab beta partner program. The awesome game, combined with real-time reports and instructional resources, is now available on GlassLab Games! Editor’s Note: Randy Weiner is the CEO of BrainQuake and has worked in start-ups, education and education technology for the last 20 years. Expert in agile development, Randy is also a co-founder and the Chairman of the Board at Urban Montessori Charter School in Oakland, CA — the nation’s first public Montessori, Arts Integration and Design Thinking school. A Teach For America alum, he taught for five years in Oakland and Madagascar and holds B.A.s from Middlebury College and an MA in Education from Stanford University. If you’re a third-party developer looking to get into the next cohort, please send a note to Mat Frenz, our Partnerships Manager!